A one owner plane this one is a total blast to fly! Get back to your roots tail wheel flying will make you a much better pilot. Such a fun plane! Call us to learn more! Motivated Seller send us an offer! 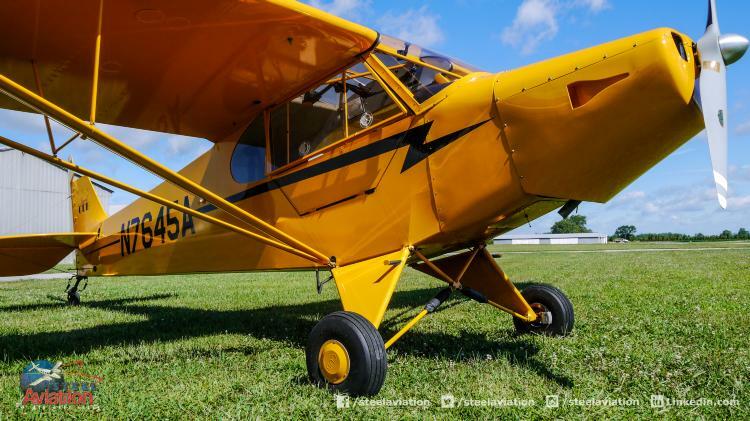 Gorgeous classic yellow cub hangared and it shows like new! Interior is rugged and functional with Legend Cub embroidered seating. Still smells new!